Through my research, I seek to understand how shared attention with other agents influences what we remember, the goals we pursue, and the things we value. I investigate both the nature of shared attention—what makes attention shared—as well as how shared attention influences mind and culture. I have recently received NSF funding (BCS-1749348) to pursue research on disambiguating the effects of shared attention from mentalization in respect to attitudinal extremetization. A description of the planned research can be found here: Social Bases of Attitudinal Extremetization: Shared Attention versus Attitudinal Simulation, 2018-2021. Shteynberg, G. (accepted). A collective perspective: Shared attention and the mind. Current Opinion in Psychology. Haj-Mohamadi, P., Fles, E. H., & Shteynberg, G. (accepted). When can sharing attention increase affiliation? On the bonding effects of co-experienced belief affirmation. Journal of Experimental Social Psychology. Shteynberg, G., Gelfand, M. J., Lynn, I., Mayer, D. M., & Bell, C. (2017). Prosocial thinkers and the social transmission of justice. European Journal of Social Psychology, 4, 429-442. Shteynberg, G., Bramlett, J. M., Fles, E. H., & Cameron, J. (2016). The broadcast of shared attention and its impact on political persuasion. Journal of Personality and Social Psychology, 5, 665-673. Shteynberg, G. (2015). Shared attention. Perspectives on Psychological Science, 5, 579-590. Shteynberg, G. (2015). Shared Attention at the Origin: On the Psychological Power of Descriptive Norms. Journal of Cross-Cultural Psychology. *Chiu, C-y., Gelfand, M. J., Leung, A. K.-y., Liu, Z., Morris, M. W., Mu, Y., Shteynberg, G., Tam, K., Wan, C., Zou, X. (2015). A conclusion, yet an opening to enriching the normative approach of culture. Journal of Cross-Cultural Psychology, 10, 1361-1371. *Authorship is in alphabetical order due to the equality of author contributions. Shteynberg, G., Hirsh, J. B., Apfelbaum, E. P., Larsen, J. T., Galinsky, A. D., & Roese, N. J. (2014). Feeling more together: Group attention intensifies emotion. Emotion, 14, 1102-1114. Shteynberg, G. (2014). A social host in the machine? The case of group attention. Journal of Applied Research in Memory and Cognition, 3, 307-311. Shteynberg, G., Hirsh, J. B., Galinsky, A. D., & Knight, A. P. (2014). Shared attention increases mood infusion. Journal of Experimental Psychology: General, 143, 123-130. Shteynberg, G., & Apfelbaum, E. (2013). The power of shared experience: Simultaneous observation with similar others facilitates social learning. Social Psychological and Personality Science, 4, 738-744. 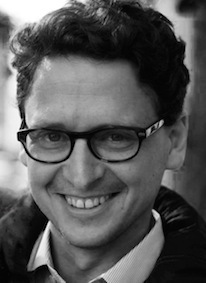 Shteynberg, G. (2012). Intersubjectivity, agency and idiosyncratic identity. Journal of the Anthropological Society of Oxford, 4, 1-21. Gelfand, M. J., Shteynberg, G., Lee, T., Lun, J., Lyons, S., Bell, C., et al. (2012). The cultural transmission of intergroup conflict. Philosophical Transactions of the Royal Society, Theme Issue on Biology of Cultural Conflict, 367, 692-703. Cojuharenco, I., Shteynberg, G., Gelfand, M., & Schminke, M. (2012). Self-construal and unethical behavior. Journal of Business Ethics, 109, 447-­‐461. Shteynberg, G., & Galinsky, A. D. (2011). Implicit coordination: Sharing goals with similar others intensifies goal pursuit. Journal of Experimental Social Psychology, 47, 1291-1294. Shteynberg, G., Leslie, M. L., Knight, P. K., & Mayer, D. M. (2011). But affirmative action hurts us! Race-related beliefs shape perceptions of white disadvantage and policy unfairness. Organizational Behavior and Human Decision Processes, 115, 1-12. Gelfand, M. J., Lun, J., Lyons, S., & Shteynberg, G. (2011). Descriptive norms as carriers of culture in negotiation. Journal of International Negotiation, 16, 361-381. Shteynberg, G. (2010). A silent emergence of culture: The social tuning effect. Journal of Personality and Social Psychology, 99, 683-689. Chiu, C-y., Gelfand, M. J., T. Yamagishi, Shteynberg, G., & Wan, C. (2010). Intersubjective culture: The role of intersubjective perceptions in cross-cultural research. Perspectives on Psychological Science, 5, 482-493. Shteynberg, G., Gelfand, M. J., & Kim, K. (2009). Peering into the ‘Magnum Mysterium’ of culture: The explanatory power of descriptive norms. Journal of Cross-Cultural Psychology, 40, 46-69. Mayer, D. M., Greenbaum, R., Kuenzi, M., & Shteynberg, G. (2009). When does procedural justice matter? A test of the identity violation effect. Journal of Applied Psychology, 94, 142-161. Lee, T., Gelfand, M .J., & Shteynberg, G. (2013). Culture and the contagion of conflict. In M. Brewer & M. Yuki (Eds.) Culture and intergroup relations. New York: Oxford University Press. Kruglanski, A. W., & Shteynberg, G. (2012). Cognitive consistency as a means to an end: How subjective logic affords knowledge. In B. Gawronski & F. Strack (Eds. ), Cognitive consistency: A Fundamental Principle in Social Cognition. (pp. 245-264). Guilford Press. Gelfand, M. J., Leslie, L. M. & Shteynberg, G. (2006). Cross-cultural theory/methods. In S. Rogelberg (Ed. ), The encyclopedia of industrial and organizational psychology. (Vol. 1, pp. 136-142). MA: Sage References. Hanges, P. J., Dorfman, P. W., Shteynberg, G. & Bates, A. (2006). Culture and leadership: A connectionist information processing model. In W. H. Mobley & E. Weldon (Eds). Advances in Global Leadership (Vol 4, pp. 7-37). NY: JAI Press. Hanges, P. J. & Shteynberg, G. (2004). Methodological challenges and solutions for leadership researchers. German Journal of Human Resource Research, 18, 346-358.